Welcome to Aeia, a modern tech worldbuilding and roleplaying region. 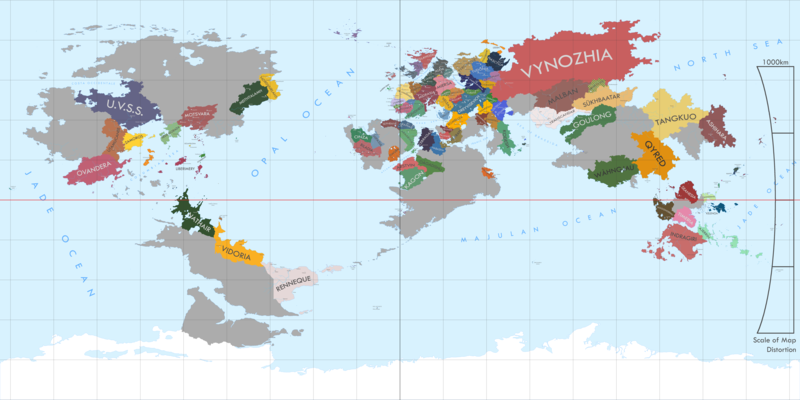 We are a vibrant, active community with extensive worldbuilding and role-play activities on both the NS forums and IIWiki. Come join our community by signing up within the thread below. We hope you enjoy your stay in our region! Meta → Reference by Midrasia 224 days ago . 512 reads. Meta → Reference by Vrnallia 205 days ago . 186 reads. Meta → Reference by Vrnallia 237 days ago . 1,229 reads. Meta → Reference by Midrasia 2 years 331 days ago . 662 reads. Meta → Reference by Midrasia 2 years 78 days ago . 243 reads. Embassies: Atlas, The Western Isles, Esquarium, Great Terra, Selene, Sunalaya, New Coalition of Nations, AEGIS Alliance, The United Islands of the Atlantic, The Democratic Commonwealth, Ordis, Future Earth, Historia Novorum, Levilion, Realism and RP, Democritus, and 8 others.Gwalethia, Svyat, Kylaris, Meridia, Atlantis, Simul, New Atlas, and Viranos. The embassy with Great Terra is being withdrawn. Closure expected in 2 days 9 hours . Tags: Democratic, Featured, Independent, Large, Map, Modern Tech, Regional Government, Role Player, Serious, and Social. Aeia contains 79 nations, the 184th most in the world. As a region, Aeia is ranked 9,690th in the world for Most Efficient Economies. 6 hours ago : The Principality of Ponelant arrived from Osiris. 1 day 1 hour ago : The Most Serene Republic of 7-Sweeze of the region Great Terra ordered the closure of its embassy in Aeia. 1 day 5 hours ago : The Republic of Padhana arrived from Osiris. 3 days 6 hours ago : The Federation of Gholestan arrived from The East Pacific. 3 days 11 hours ago : The Colony of New Timeria arrived from Lazarus. 3 days 20 hours ago : The Eskaeban Dominion of Lopimina arrived from Osiris. 4 days ago : The United States of Sternug arrived from The East Pacific. 5 days ago : The Unclassified Republic of AESYRiEL rejected The Democratic Republic's request for regional embassies. 5 days ago : The Grand Duchy of Porto Verde of the region The Democratic Republic proposed constructing embassies. 6 days ago : Murianea ceased to exist. Gotta love people who say "Gotta love Aeia"
He is so wound up that if you fed him a wire, he would crap out a spring. I am withdrawing my vote in the poll, I choose to abstain. I also withdraw this guy's vote.